The great director Alfred Hitchcock was a huge fan of jewelry. He used it in so many of his films to turn the plot, Penny Proddow and I devoted an entire chapter to his work in our book Hollywood Jewels. When the master of suspense wasn’t working he enjoyed looking at jewelry. 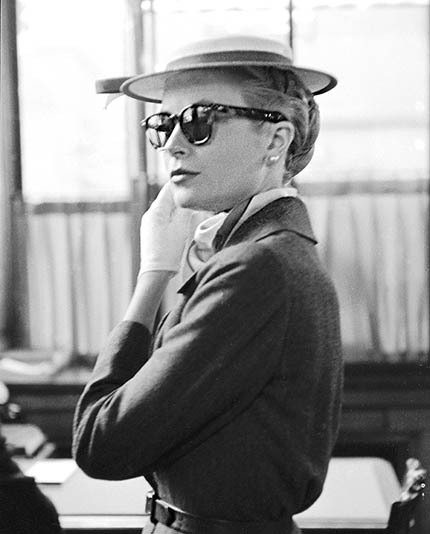 In fact, he was the man responsible for introducing Grace Kelly to Cartier. The twosome were spotted by the young Cartier designer Alfred Durante at the Fifth Avenue Mansion in New York enjoying the jewelry on display years before the actress became royalty. Hitchcock also inadvertently played matchmaker for Kelly when he cast her in the role of Frances Stevens in his 1955 production To Catch A Thief. During the filming, the actress was introduced to the ruler of the tiny principality of Monaco, Prince Rainer III. Love at first sight would be a fair assessment of the situation. The monarch was enchanted by the refined 28-year old Hollywood star who was the daughter of a model and a famous American athlete, rowing champion Jack Kelly of Philadelphia. Not only was Kelly exquisite, she was also an accomplished actress. She had been nominated for a Best Supporting Actress Oscar for Mogambo (1953) and won the Best Actress Award for her role in The Country Girl (1954). 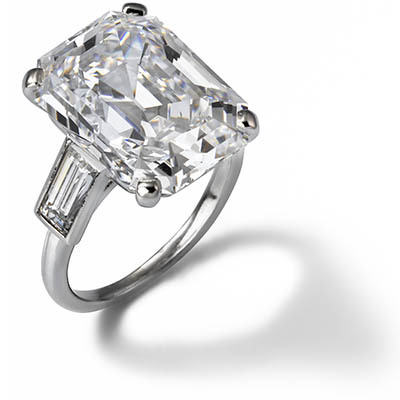 Soon after Grace met Prince Rainier, he proposed with a jewel from Cartier. It was a delicate eternity band set with rubies and diamonds for the colors of Monaco. On January 5, 1956, at a press conference at her parents’ home in Philadelphia, the happy couple announced their engagement for newspapers, magazines, radio and newsreel cameras and let photographers take close-up pictures of the ring. 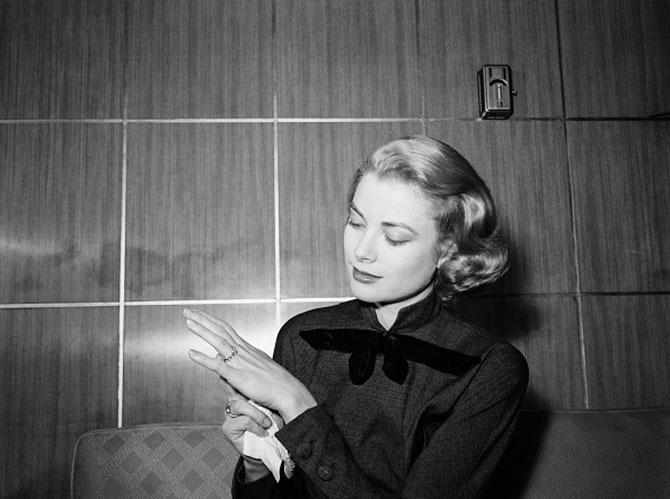 Another Cartier ring appeared on the third finger of Grace Kelly’s left hand shortly after the press conference. This jewel did not require any close-ups to be seen. It was an epic ring featuring a stunning 10.48-emerald cut diamond flanked by two baguettes set in platinum. Kelly wore it in MGM publicity photographs and her final film High Society rapidly making it one of the most famous engagement rings in the world. A musical revamp of the classic Philadelphia Story, the ring was just right for Kelly’s part as Tracy Lord, a socialite on the eve of her wedding. It is given a Technicolor close-up when Kelly’s ex-husband in the film, played by Bing Crosby, remarks to her new fiancé, “Some stone George. Did you mine it yourself?” At one point in the production, Kelly rather hilariously polishes the ring on her dress and admires it. 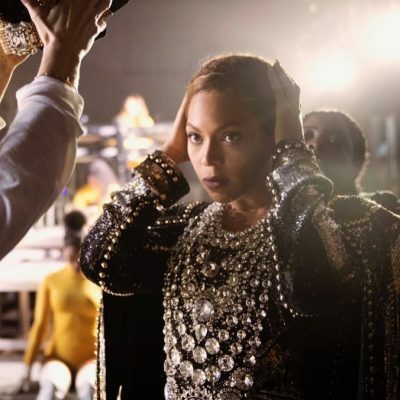 When the actress got down to the serious business of preparing for her royal wedding and packing up her New York apartment, her every move was recorded by the press. 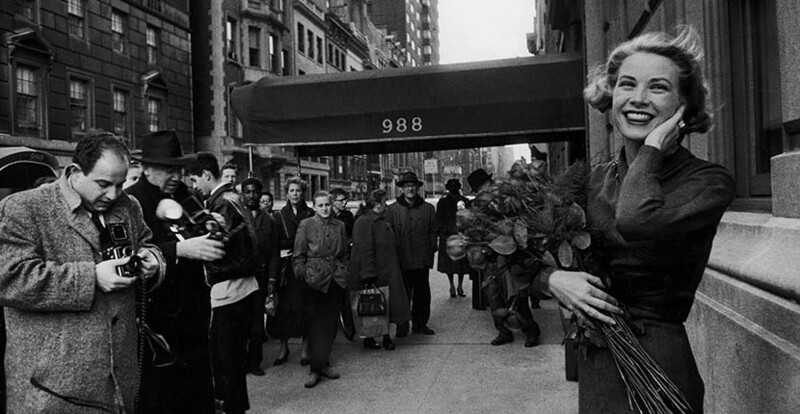 The engagement ring sparkled when Kelly posed in front of her apartment building, 988 Fifth Avenue, holding long stem roses (photo above). 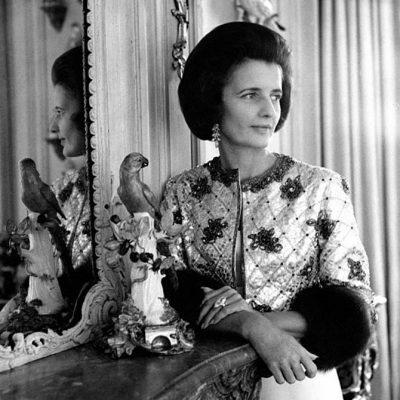 Before she set sail to Monaco on the luxury liner Constitution with her large wedding entourage, Kelly was documented making one final stop at the Cartier Fifth Avenue Mansion. In homage to Grace Kelly and the romance of her most well-known Cartier design, a stunning room filled with engagement rings in the newly renovated Cartier Mansion is dedicated to the actress. One of the most elegant spaces in the building, the round room has a pale color scheme and is accented by photographs of Princess Grace. 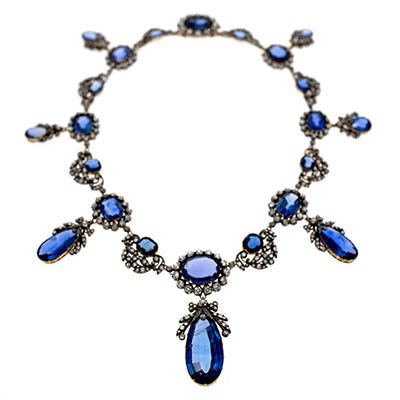 Several were sourced by the esteemed Cartier Heritage department directly from the palace in Monaco. 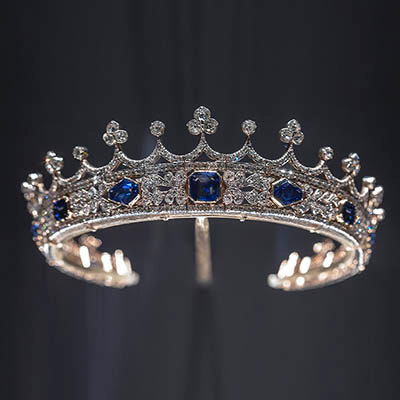 The royal family also graciously loaned the engagement ring and other Cartier jewels to be put on display in the landmarked building for one month after the historic two and half year renovation. It is a presentation Kelly’s old friend, director Alfred Hitchcock, would have loved.